I‘m leaving before the crack of dawn today to head out to LA for the Bosch BLANCO retreat. 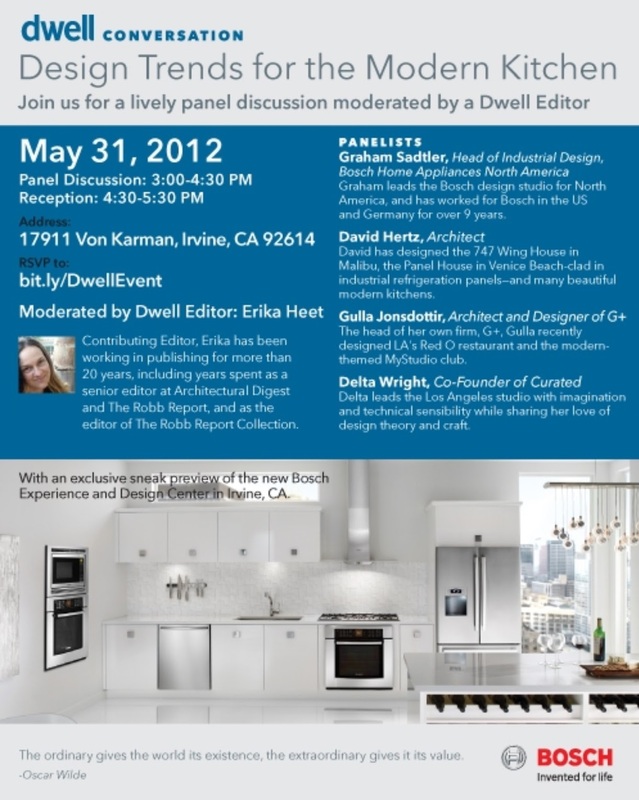 First up on the agenda is a panel discussion moderated by Dwell magazine editor Erika Heet and featuring a great panel of architects and industrial designers. Plus I’ll be meeting up with some of my favorite designers and bloggers like Susan Serra, Andie Day, Bob Borson and many others. Also on hand will be ::Surroundings:: periodic contributor Lori Dolnick. Green Day – How Green Is It?